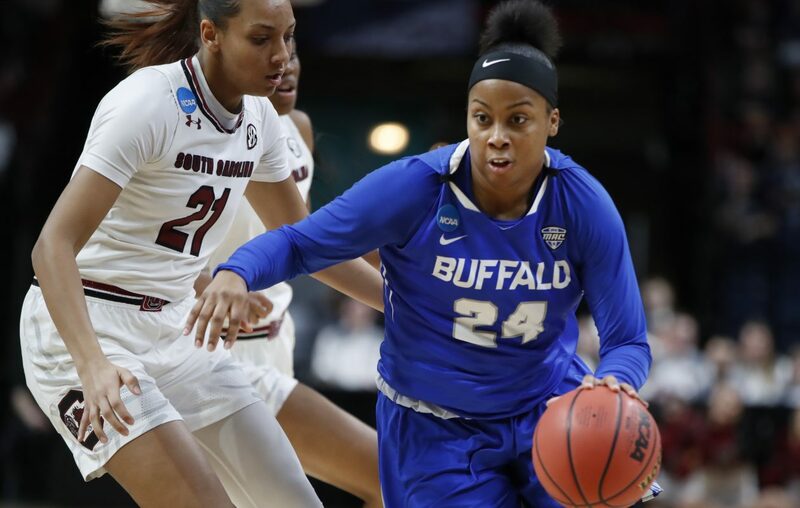 University at Buffalo guard Cierra Dillard was named honorable mention All-America by the Associated Press on Monday. Tiffany Bell and Kourtney Brown are the only other UB players to earn All-America honors in school history. Dillard was second in the nation in scoring at 25.2 points per game. She set the school and Mid-American Conference record for points in a season with 856. She led Division I in free throws made (233) and attempted (287) and set school records for scoring average, free throws attempted, field goals attempted (671) and three-pointers made (105) and attempted (308).